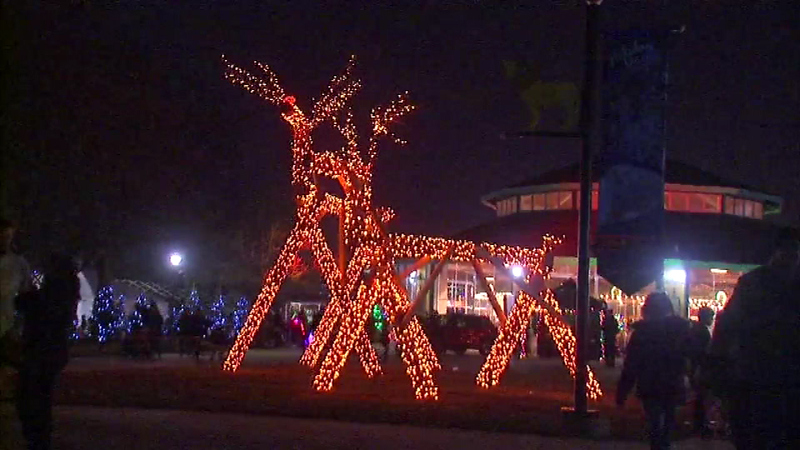 BROOKFIELD, Ill. (WLS) -- A magical season kicked off at Brookfield Zoo when the annual Holiday Magic light display opened Saturday night. One million LED lights line the suburban zoo and this year a new polar light display will allow visitors to design their own light show. Holiday Magic runs every weekend through the end of the month.